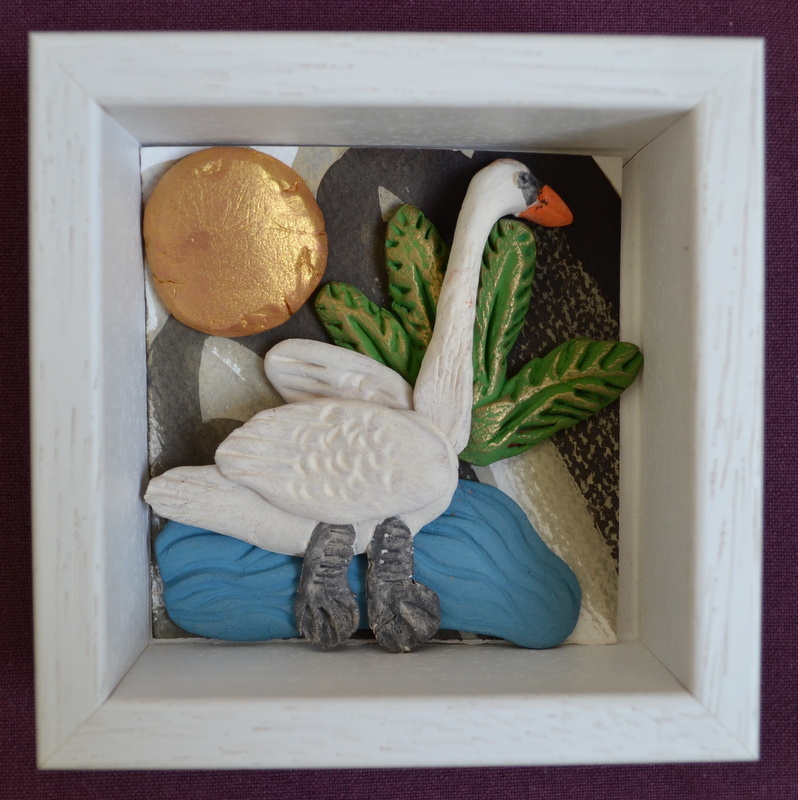 Shellie Byatt and Adrienne Craddock have been creating small scale artworks since becoming involved in making bronze medal sculptures for an exhibition at the Sladmore Gallery, London in November 2013. These new works have developed from a shared interest in medieval wall reliefs, stone carvings and misericords as well as international folk art, puppets and South American retablos. Our lives are so busy, the world is becoming a more crowded place to live in, but even in the smallest of homes and the tiniest of spaces……. everyone has room for some ‘art in a nutshell’. 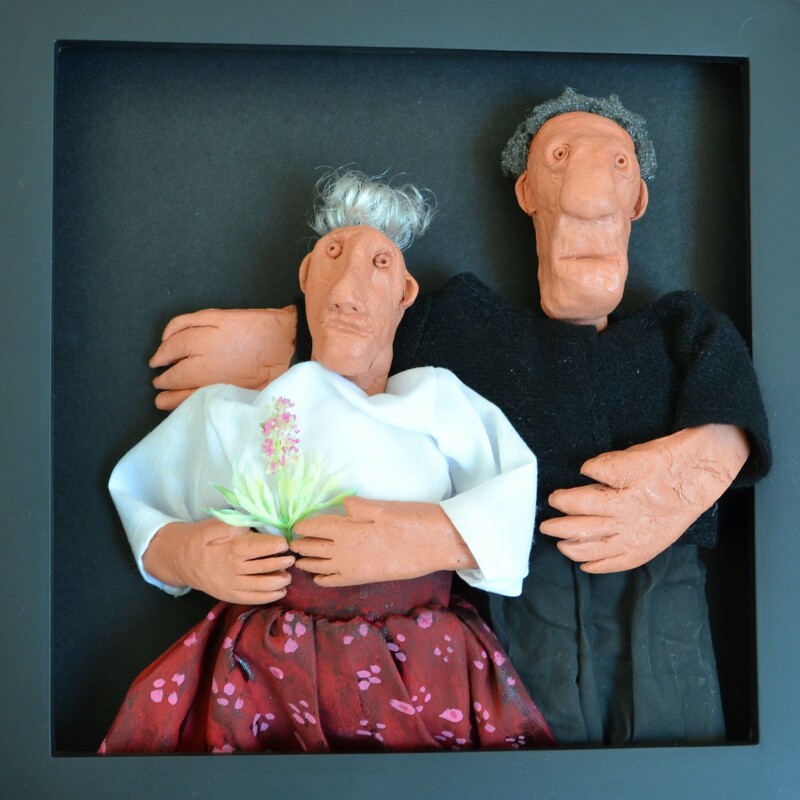 This entry was posted in Uncategorized and tagged art in a box, clay figures, clay sculpture, curious boxes, dioramas, figures in a box, nichos, nutshell, relief sculpture, retablos on December 22, 2014 by chestnutandhazelnut.